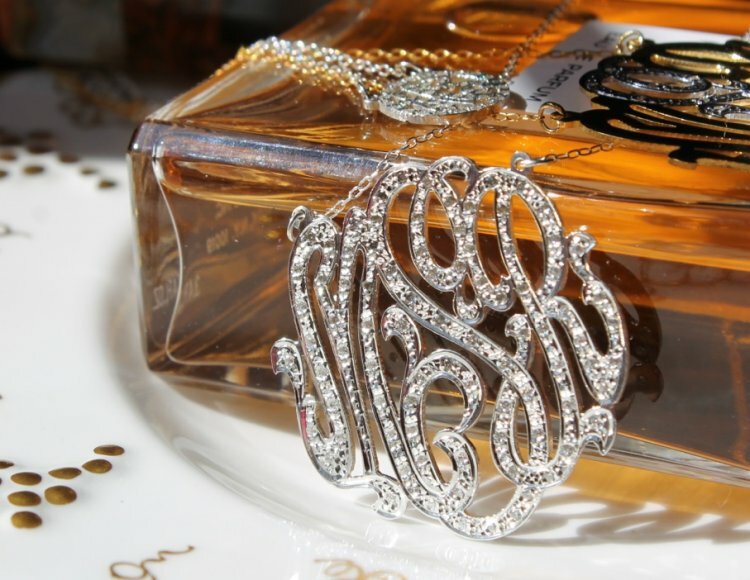 This three letter monogram beauty contains diamonds that are set in either 10 kt yellow gold, 10 kt white gold, or 10 kt rose gold. The chain is matching metal color in 10 karat gold. The necklace will be as shown on a split chain. You may choose either a 16 inch or 18 inch chain. 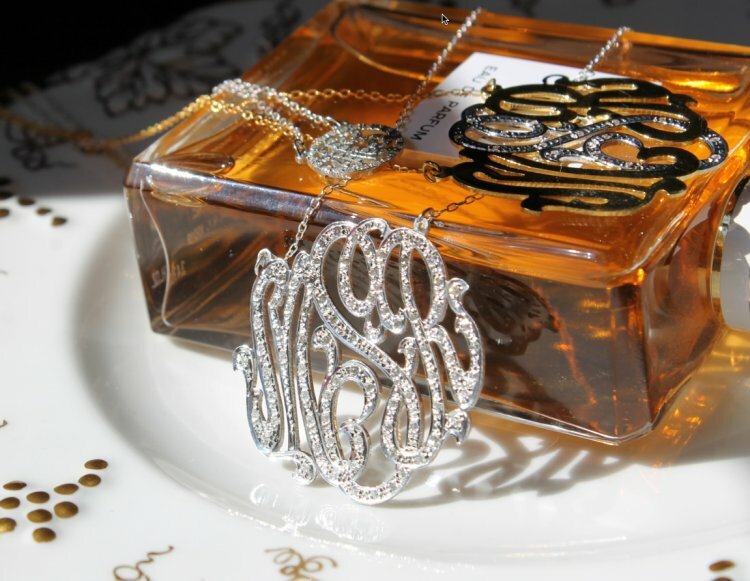 Each piece will have diamonds set inside the elegant curves of the monograms. This one is for someone really special or a treat just for yourself. 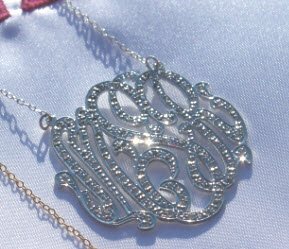 We have this necklace in three pendant sizes: 1 1/4 inches, 1 1/2 inches, and a large 2 inch. The picture above is white gold in 1 1/4 inches. Please allow about 3 weeks for delivery on this custom necklace. Each necklace is hand made especially for you. Each combination of letters create a design as unique as you are. All our necklaces are set with 1 Point Diamonds. 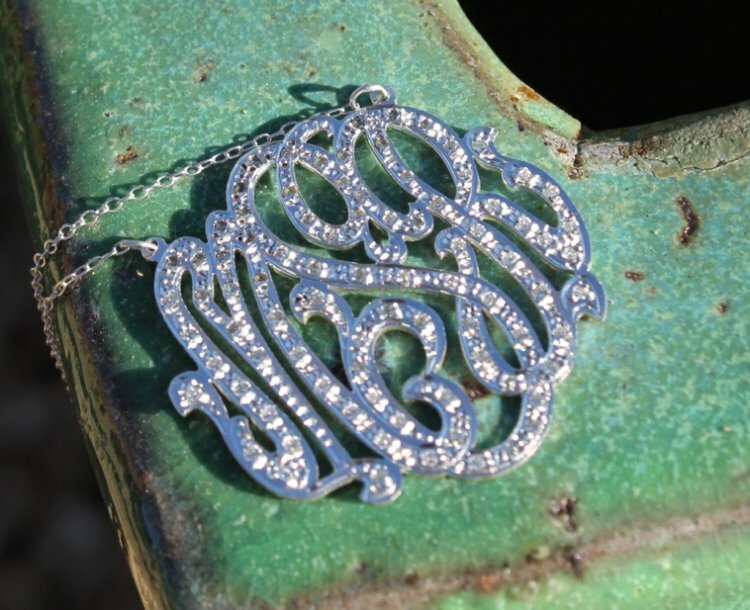 The diamond amount will vary with the letter choices and the size of the chosen pendant. The quality of the diamonds is S12 and G quality. Price: $950.00 In stock! - Browse this brandOur products are custom made to your specifications. This product ships up to 3 weeks after your order is placed. Please choose your size for your diamond pendant. The base price is for the 1 1/4" pendant. If you want a larger pendant size it will add to the cost of the necklace.